Support Syracuse City Ballet by sponsoring your favorite scene in Peter Pan! 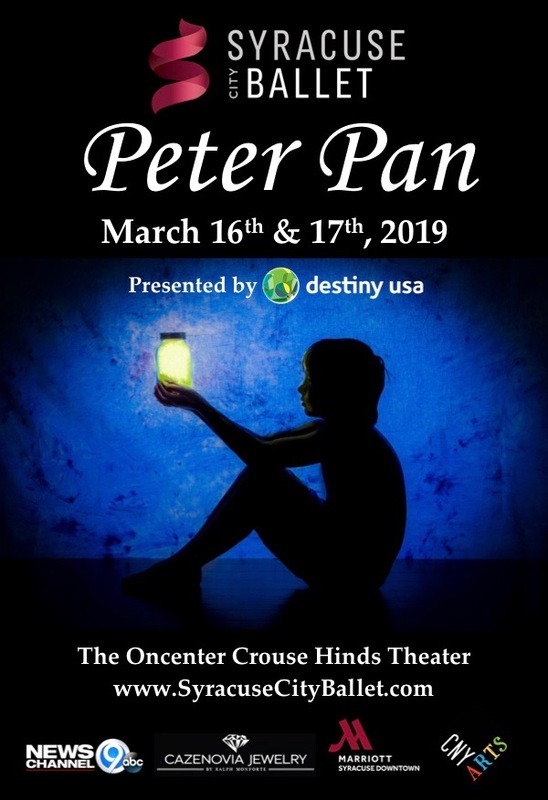 Scene Sponsors will receive recognition on lobby signage, in the Peter Pan program, and on our company social media platforms including Facebook, Twitter, and our website! Please select the scene you would like to sponsor. *All scenes are subject to availability. How would you like to be recognized in our program? Thank you for supporting Syracuse City Ballet!